You can now hog on these 10 guilt free recipes this winter, and not worry about putting on unwanted weight – healthy bhi, tasty bhi! Christmas/ New Year season is here. The best time to enjoy yummy food with your loved ones. Fried food, sweet delicacies, sugar-coated candies – the colourful markets are flooded with myriad options to choose from. It’s a celebration time for foodies as they get to taste various flavours from around the world. In fact, holiday season is equivalent to adding unwanted calories to your diet because it’s difficult to say no to yum food. However, Christmas or New Year season shouldn’t be an excuse to gain weight or fall prey to unhealthy eating habits, which you might regret later. So ensure that you eat right to stay fit and disease-free during the holiday period. Piling on extra sweets and fatty food will only add to your waist size and affect your overall health. 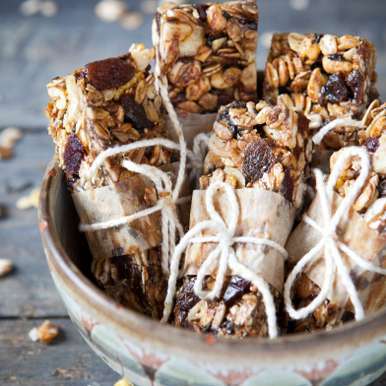 So, don’t forget to try these healthy guilt free recipes during the holiday season. Tasty little energy bites are ideal to satiate your holiday cravings. These are just mildly sweet, best for health-conscious people. Feel free to add jaggery/ honey to your recipe if you want. Combination of almonds and walnuts in the recipe will keep you feeling warm. Addition of oats to the recipe makes it a healthier alternative to deep fried munchies. Also, the process of baking makes this one among light, guilt free recipes! These healthy pancakes made with a secret ‘healthy’ ingredient is perfect to start your day. These pancakes can be your perfect quick meal for this holiday season. 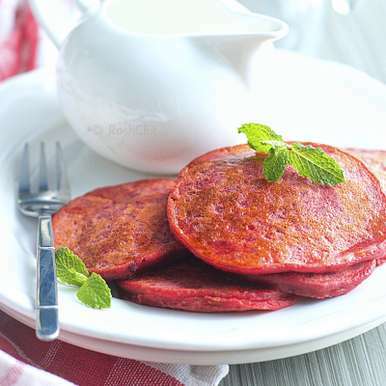 Prepared with beetroot, these pancakes are healthy and delicious. The lovely colour of the pancakes will also entice children to enjoy this guilt free recipe. 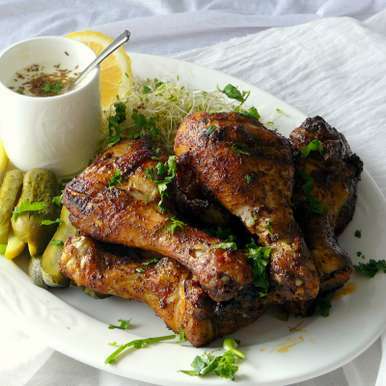 If you are a chicken lover and can’t live without spices and coffee, this recipe is best for you. Ideal for special occasions with family and friends, this recipe will be the highlight of your holiday season. With just seven minutes as preparation time and 40 minutes as cooking time, this guilt free recipe can be prepared easily with step-by-step instructions. Relish this yummy delicacy with your loved ones. Holiday food mustn’t become a reason for feeling guilty. So, it is best that you try a recipe which is low in calories and tastes awesome as well. Veggies coated in rich flavours and roasted to perfection. This will soon become a holiday must-have from among the guilt free recipes you try. Adults and children alike will love this recipe. 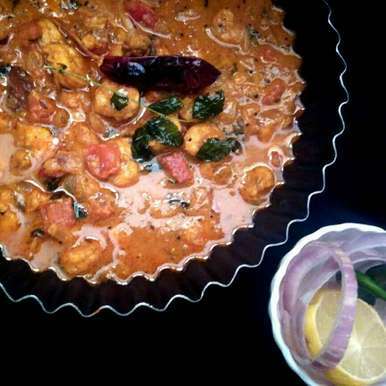 Addition of soya to the recipe makes it a guilt free recipe for the holiday season. 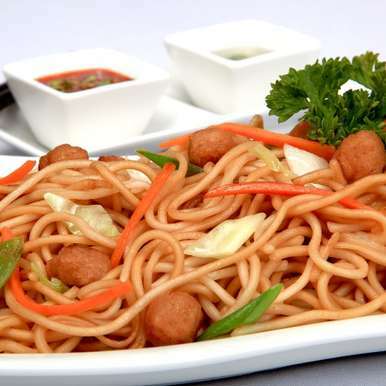 Enjoy this yummy recipe with the goodness of capsicum, sprouts, carrots and rich spices. If you love seafood, you can’t miss this delicious recipe. 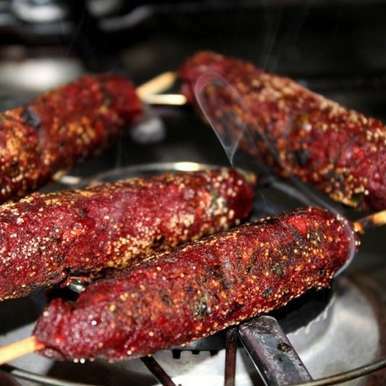 The recipe is simple, tastes awesome and oozing with flavours of coconut and spices. Marinated prawns taste brilliant when cooked on low flame for 5-8 minutes. 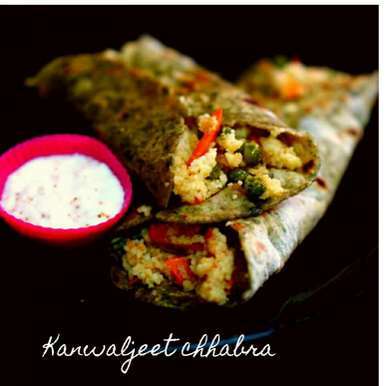 Surprise your loved ones with this guilt free recipe and make their Christmas/ New Year season memorable. Enjoy this awesome concoction of rice and coconut cooked with jaggery and coconut milk. For the preparation, rice is soaked and then coarsely ground with coconut and later flavored with jaggery syrup and topped with fried nuts and dry fruits. 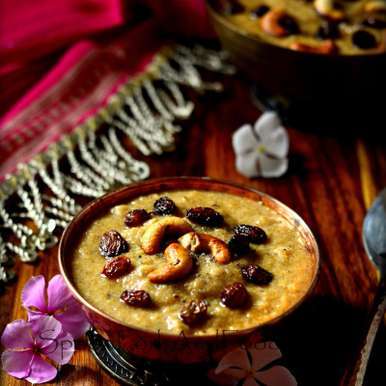 Try this yummy and soothing kheer this Christmas / New Year season. 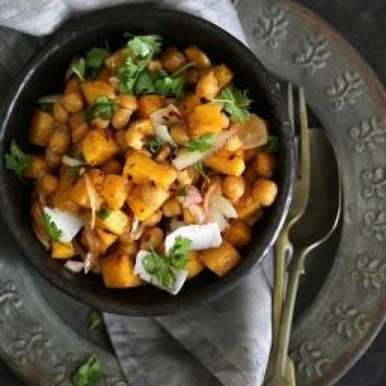 A light and healthy salad inspired by the humble kaddu or pumpkin, with a serving of chole within. Pumpkin adds an interesting texture and flavour to this healthy salad. A must for health-freaks this festival season. Relish delicious veggies on your plate as your enjoy the festive season while meeting your weight-loss target. 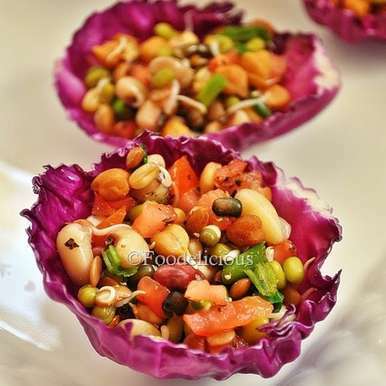 Blanched sprouts, purple cabbage and white pepper present in the salad will also keep your stomach happy and let you enjoy the festivities to the fullest. With the goodness of couscous grain and spinach puree, this guilt free recipe is a powerhouse of energy and iron. Combined with whole wheat flour, tomatoes and boiled peas, the recipe will keep you full and happy. Don’t forget to enjoy this delicious recipe with your health-conscious friends.